another lunch: review: PlanetBox for waste-free lunches that are out of this world! 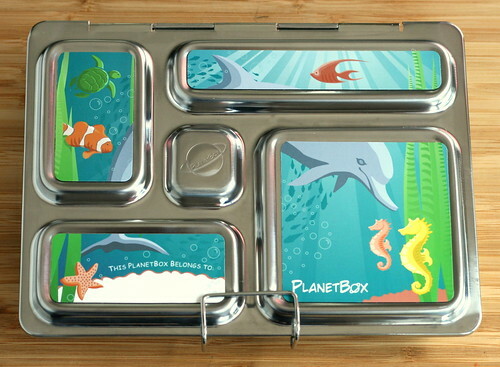 review: PlanetBox for waste-free lunches that are out of this world! Secondly, food looks far-out in it. Tidy, streamlined, the individual compartments of the PlanetBox make for really nice "frames" and just helps make the food it contains look nice. - celery with peanut butter and raisins, aka "ants on a log"
I *love* that swizzle sticks fit in the long section. 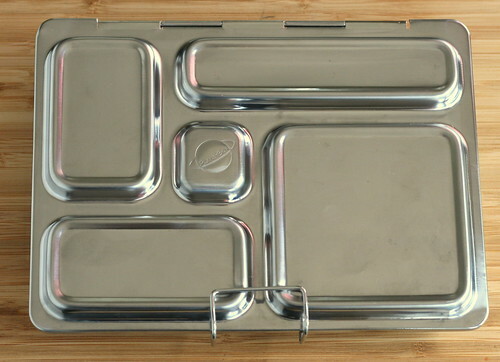 * PlanetBox is 100% high-quality stainless steel. * Being Stainless Steel it is obviously BPA free and free of all that other gunk we don't like (that would be: lead, PVC, and phthalates). Even when it's naked it looks so cool! The backside of PlanetBox, in case you are curious. 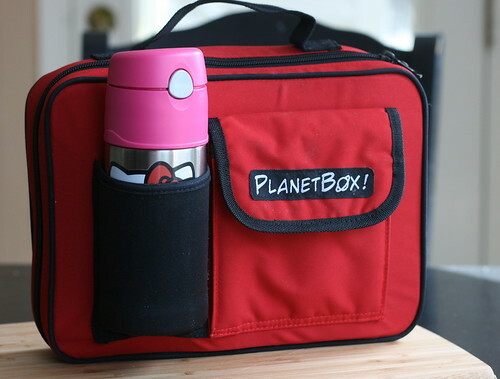 One of the things I hemmed and hawed over when it came to ordering the PlanetBox was the lunchbag. To be honest, I wasn't wowed by the lunchbags and I tried to find a different lunchbag that would fit it. I could never find one. The PlanetBox is just a little too long and wide to fit in the other lunchbags I found. So I went ahead and ordered the complete set, including the lunchbag. Again, I'm glad I did! The photos of the lunchbags online really don't do it any justice at all. The PlanetBox carry bags are really very nice. They are VERY well insulated and solid! I can't even tell you how thrilled I was to find our Thermos Funtainers will fit in the drink pocket. PERFECT! Please Note: Pink Funtainer is not Ethan's. It is Paige's. Spiderman, Batman and newly acquired Star Wars Clone Wars Funtainers were all either away at school or in the wash when this photo-shoot took place. Ethan would not appreciate anyone getting the impression that he is using the pinkalicious Hello Kitty drinking vessel and I'd like to make that clear now, to save myself from the 8-year-old's tirade of disdain. Thank you. PlanetBox recently came out with some new lunchbag colors and the new carry bags have an even roomier pocket that looks like it could accommodate even more reusable drink bottle options. 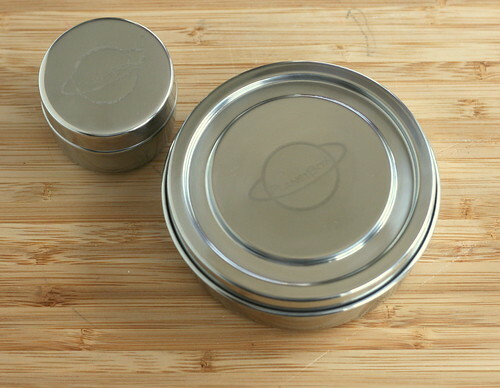 As part of the "Complete" PlanetBox set I ordered are two small stainless containers, "Big Dipper" and "Little Dipper", that can fit inside the Planetbox, or be used separately (the big one would be great for a snack and slipped into the outside pocket of the carry bag!). We have used the small one for dips, and also worked great for housing sunflower kernels. They are really handy and seal so nicely! If I were handing out grades here I would have to say that that PlanetBox earns an A+. It is very functional and cool. The only downside to the whole lunch system is the cost. For the PlanetBox alone it is $35, that's a bit high for a lunch container. But I can honestly say I think it's totally worth it. The PlanetBox is a quality piece that will last years and years. This is not an item that will wear out over time. I foresee the PlanetBox being with us for a long time, to infinity and beyond, you might say. In a nutshell: PlanetBox rocks. I got them this year for Audrey & Connor and LOVE them. Well worth, the $ in my opinion. 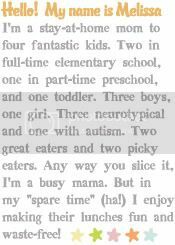 Both kids like them (though Audrey says she's disappointed the Planetbox was invented because she has healthier lunches and less "junk" now). Thanks for reveiwinf these Melissa! I love your disclaimer about the Pink Funtainer. HA!! I love this box. I wish that they made it in an adult size. 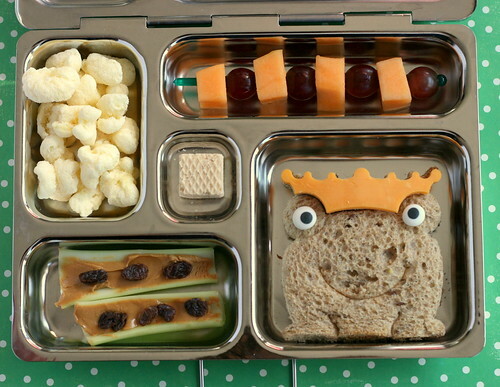 These are the CUTEST lunch boxes I've ever seen (not to mention that the frog sandwich is the most adorable LUNCH I've ever seen). Oh my goodness! How fun! What are the eyes on the sandwich made of? SO cute! 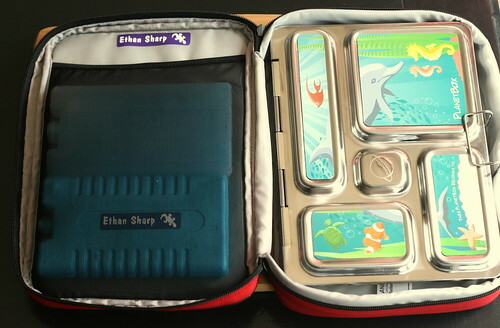 Has it been a problem that the planetbox is stored on its side in the lunch bag? 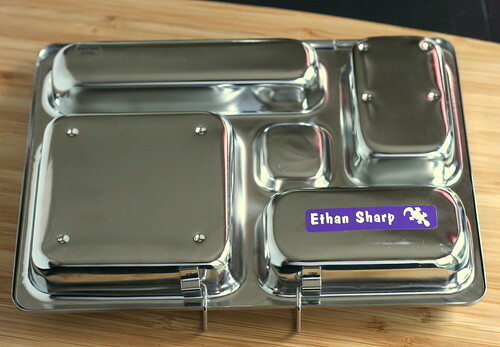 Do the sides of each section touch the lid so the foods don't get mixed together? I've been waiting for this review :). I was hoping you loved it as much as I do, but afraid, since I'm new at this whole Bento thing, that maybe I was missing something LOL. I started with 1, for my 2 girls to share, especially since I wasn't sure how the Bento thing would go in our house, but it's gone so well, and I was tired of the girls getting mad about it not being their turn for the planetbox that time, that I got another one with the new pink case. We LOVE them here, and they're the envy of the kids AND teachers at school! I've SO been wanting to purchase a Planetbox. Having a hard time justifying the $60 price tag (for the complete system) though. Thinking it might be a great Christmas gift. Hi, I'm a new reader, precisely b/c my son went back to school with a PlanetBox in August and I've been looking for ideas! I love it SO much. He's a kid on the go who doesn't like to take a lot of time to eat, so I love that he opens one latch, and voila! It's all there. Plus, it's so easy to clean. Glad to hear you're a fan, too. you just might be the coolest mom ever. 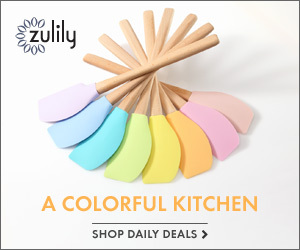 found your blog and LOVE it! thanks for the inspiration! I don't have kids, but I bought this for me to take to work. It's great for adults too and I'm the envy of the other architects and designers in the office. It's simply good design. My lunch today: turkey sandwich, artichoke hummus dip with cucumbers, fresh strawberries, whole grain blueberry bar and cheese crisps. It all fit! Oh, and the drink pocket fits a Sigg water bottle. The carrier also slips easily into a messenger bag. Just like Holly, I don't have kids, and I also bought the PlanetBox for myself. As a teacher, I have the same short lunch time that the students have. I wasn't sure it would be enough food...especially since the box is marketed for kids. But, I get PLENTY of food, and the design makes it easy to add lots of filling fruits and veggies! My daughter's PlanetBox was used every single school day last year, and still looks as good as brand new. I throw the case in the washer every week or two, and the planetbox itself in the dishwasher when the timing works out. Well worth the investment. Holly, thanks for your comments, as we have messenger bags and siggs at our house. I am interested in this because it's not too babyish for my daughter to use next year when she hits middle school (boo hoo). Melissa, I am torn between the PB and the laptop lunch system. Price is a big factor as I have two girls. What do you think?? Help!! Melissa, we have been LOVING our PB! I love the pink carry case, and Carina is loving her unicorn magnets! Your review is awesome! One more question...is it sealed enough that your chips/crackers don't go stale or mushy? Hey Amy! It doesn't really *seal*. It seals as much as two plates inverted would seal. Does that make sense? I pack lunches in the morning, so food is only sitting for a few hours...and nothing has gone stale or mushy in that short period of time. Ethan is very vocal (read: complaining) of textures being off and he's just pleased as punch over the PlanetBox. PB is more expensive, and LL can give you more packing options (especially if you factor in the Bento Buddies inner boxes). PB is only 1 piece to keep track of versus 5 pieces for LL (or TEN if you have two of them! Those pieces add up fast...I've got 3 LL and it's a lot to keep track of). I really can't say one is better than the other. Sorry! I'm crazy lunchbox lady. ;-) I like the versatility of LL, but the PB can't be beat for durability and ease! i love the way food looks in it too. My husband told me to order one a few days ago, thanks for the reminder! We have four planetboxes on their way and I was so happy to open this blog and see the review! I was already wondering if I would regret such an expensive purchase and am feeling far better now. We ordered the basic box/magnets alone and hope to make something for wrapping it just could not quite get the whole set for all four! I like this set, but I wonder for the little ones if there is enough room on the lunch table because the footprint of the lid is so large? I certainly like the idea though. For now I'm sticking with my little bento boxes but maybe in first grade I'll go PB. I love when you share the tools you use for your bento box lunches! I'm really excited about doing this when Isis is in school!!! Love these lunch boxes! Our whole school is aiming to have Rubbish Free lunches every day. Pity the postage to Australia is so steep! I hope PB gives you a discount code for your blog followers, im sure they've had an influx of orders due to this fantastic review! I LOVE this...I bought Goodbyn's for my LO's, but now I'm doubting them because they are hard to open and close. Since I have 3 kids - it's MUCH easier to have one big container lunch, than a whole bunch of little parts. How easy is it to open the latch though? I need this to be EASY, then they can save their Goodbyn's for when they are a bit older and can open/close them by themselves. 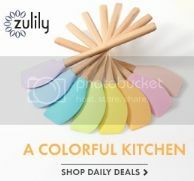 Does that long section fit a yogurt stick (or whatever those longer ones are called :) by chance? I have really been eyeing this for a few weeks now but the cost is higher than I would spend for a lunch box. Thanks for your review..maybe we will add it to our christmas list for the grandparents this year ! LOVE your website by the way! So does Goodbyn open & close like Rubbermaid type containers? We have a Laptop Lunch and unfortunately my son struggles with that latch. How does Planet Box latch compare to LL? It looks like it just slips off but I thought pushing the LL latch would be easy. Any opinions? Sally, the Goodbyn is trickier to open than Rubbermaid/Tupperware things. It's our most difficult container to work with. I got my son the PlanetBox and Goodbyn. We kept the PlanetBox and sent back the Goodbyn. We love the PlanetBox! It makes the food easier for my lazy eater to get to instead of having to open different baggies/containers to get to his food. It also makes the food look more presentable and fun. The thing is so sturdy, that next year, I will just buy new magnets and then he's got a new lunchbox! :) Well worth the $60. I got 2 Planetbox sets,the pony for my daughter(3rd gr)& the earth for my husband(believe it or not). Cost= $120 for both +$10S&H = $130. And I would say, that's a lot a money for a lunch box! But I did it anyway. I do love everything you've mentioned about it and I agree to all of what you've said. But I just thought I should share some of the real drawbacks that came with it. (actually, according from my 8 yr old daughter). 2)the plastic seal from the small/big dipper keeps on falling whenever she opens it. 3)and her supposedly hot/warm food doesn't keep. 4)kind of sharp edges(yes! her little finger got caught while she was closing it and cut her). 4)and a very high price tag <--this is according to me. Now, don't get me wrong, it is the coolest thing! Do you think the case is a necessary accessory? Will it stay closed without the case? Where do you get your the purple name tags? I am going to get one for my daughter, but darn it I want one tooooo. I'll use it when she's home from school. Can you tell me what you use to skewer the grapes and the cheese? Thank you. 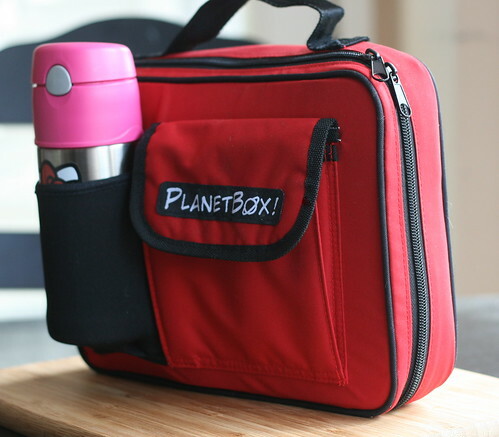 I definitely want to buy the PlanetBox though wanted to know if you knew of any other lunch bags/sacks that it would fit in other than the PlanetBox carry bag. Also will the Klean Kanteen 12oz fit in the drink pocket? Anonymous (#46) - I don't know of another lunch carrier that would hold the Planetbox. It's slightly longer than a Laptop Lunches, so it won't quite fit in the majority of lunch boxes. I'm not sure about the Klean Kanteen. We used to have those, and I think they were a big wider than the Thermos FunTainers, though I'm not positive. Another variable here - it looks like the PlanetBox carriers have been redesigned a big. The drink pocket looks different than on the original carrier that I have. So I'm not sure if that makes it roomier or tighter. Where did you get the swizzle sticks? That is odd, Foodie Mama! Where are you looking? I see them all the time stocked right next to toothpicks and disposable cutlery. Winner of the Hain Celestial giveaway!